When Gabrielle went to get her eyebrows microbladed, she was horrified with the result. After a botched job, Gabrielle reached out on Facebook to find a solution, and that’s how she found Sydney-based makeup and cosmetic tattoo artist, Gordana Willesee. And after a long 12 months, the transformation is incredible. Gabrielle was horrified with her micro-blading. Image: Instagram @drfreckleandmrhide. This was after Gordana worked her magic. Image: Instagram @drfreckleandmrhide. 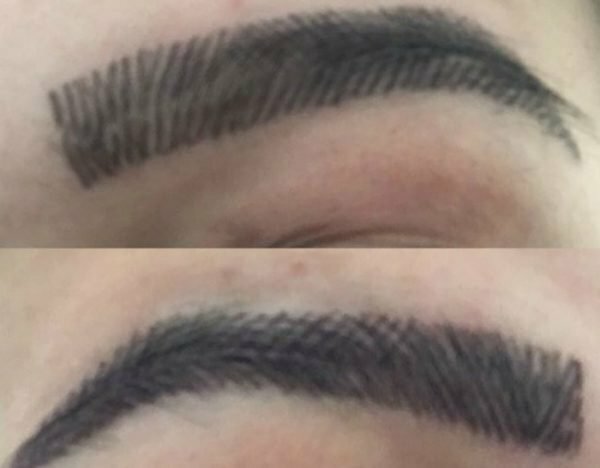 How do you fix up a botched microblading procedure? Speaking to Mamamia, we quizzed the owner of Dr Freckle and Mr Hide about her process. Having previously worked as a makeup artist for Channel Nine as well as on set and in the dressing rooms with the likes of Lisa Wilkinson, Jackie Weaver, Zoey Deutch, Tom Hiddleston and Zac Efron, Gordana knows what makes a good brow and how to create one. She’s known for her ability to create natural looking tattooed brows and her Instagram speaks for her work. Despite this, when it came to restoring Gabrielle’s brows, Gordana had her work cut out for her. “After getting micro-bladed brows, the hair strokes looked more like the silver ferns from the New Zealand flag,” she wrote on her Instagram post. Receiving her first treatment three days after her botched microblading procedure, Gabrielle’s wounds were still fresh and at-risk from infection. Since Gabrielle was a new mum, Gordana took extra precautions. “Infection and sepsis is always a risk when it comes to tattoos. That’s why I chose a medical environment,” she says. Although Gabrielle did experience some infection, Gordana said this was immediately managed. 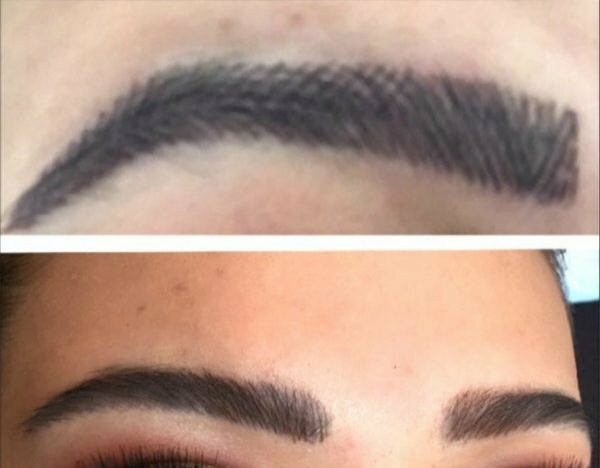 Next she had to remove the excess pigment and colour correct her brows from a blue/dark grey colour to a chocolate brown, which she did in one session with a touch up six weeks later. The difference is amazing. Image: Instagram @drfreckleandmrhide. 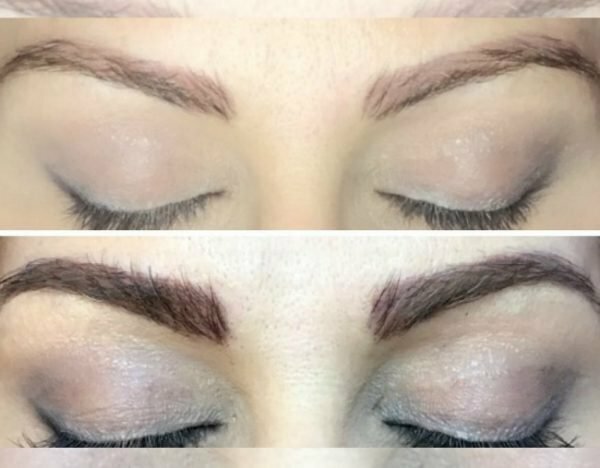 Gordana then used her ‘soft-tap’ technique to create dimension, adding crests and brow strokes, which she did in two appointments and spent their final session teaching Gabrielle how to further enhance and cover certain areas with makeup. Stressing this last point, Gordana says sometimes “penetrating the skin isn’t the answer,” and a good artist will know when to hold back. 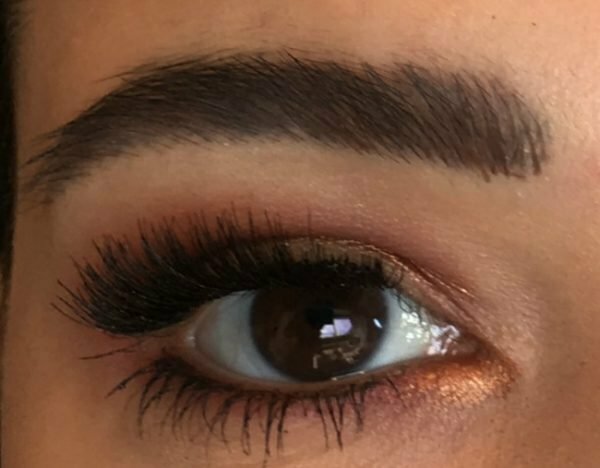 How do you pick a good aesthetician for eyebrow microblading? As someone with over 19 yeas of experience, Gordana’s main piece of advice for people looking to get cosmetic tattoo treatments is to be very particular about who you go to. She says botched jobs are quite frequent and overly cheap prices are generally a sign of poor training. “Avoid places that are very cheap as this is usually an indication of their experience. Some cosmetic tattoo artists don’t even have recognised qualifications and learn by watching YouTube,” she says. Another example of Gordana’s work. Image: Instagram @drfreckleandmrhide. Instead, “top notch” artists should be able to tattoo medically, colour correct, be adept in different methods and belong to a cosmetic tattoo group, such as the Society of Permanent Cosmetic Professionals like she is. For Gordana, she sees cosmetic tattooing as a natural extension in her long career in film and television makeup and says other artists should have a similar background. “Working in that industry helps me understand how to achieve a natural look when people are filmed and photographed,” she says. For more information on Gordana and Dr Freckle and Mr Hide you can visit her website. Gordana’s treatments range from $865 for a full brow and $650 for a half brow, plus GST.